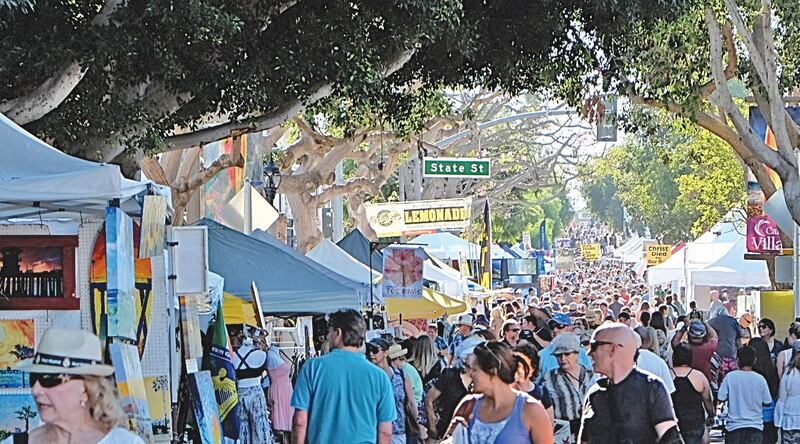 North County’s favorite street fair is returning to The Village the first Sunday in May. The streets will come alive with the sights and smells of fair-time as 800 vendors set up unique booths, fairgoers search for handmade gifts, try mouthwatering foods, and have some fun in the sun. 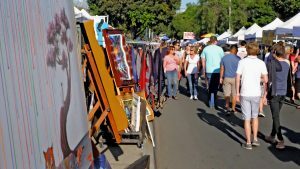 The Carlsbad Village Faire – the largest one-day street fair in the nation – will take place from 8:00 a.m. to 5:00 p.m. Sunday, May 6. The fair stretches 14 blocks. Grand Avenue from Carlsbad Boulevard to Jefferson Street, and all of the cross streets in between, would be close for the event. Each year, the Carlsbad Chamber of Commerce hosts the fair in May and November. Now in its 44th year, the free event has grown to be so popular that it not only continually attracts people from all over Southern California, but also from other states. 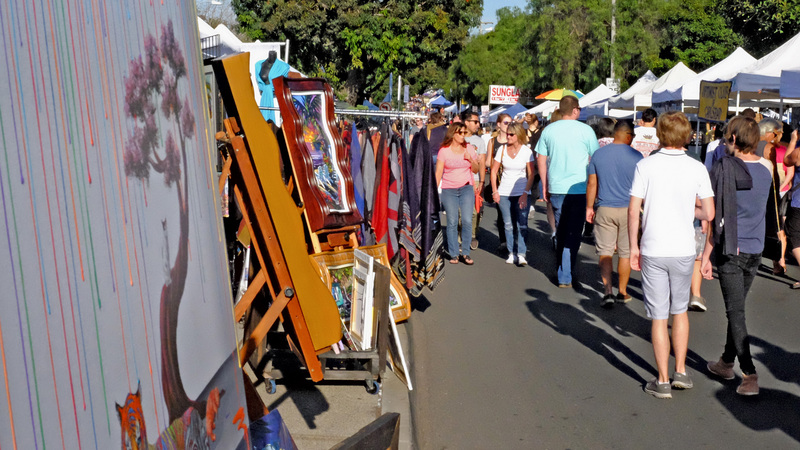 The Carlsbad Village Faire – the largest one-day street fair in the nation – will take place from 8:00 a.m. to 5:00 p.m. Sunday, May 6. The fair draws over 100,000 visitors with its 800 unique vendor booths offering handcrafted arts and gifts, art, antiques, jewelry, unique clothing, home décor, plants and more. The international food court will once again feature more than 50 booths serving everything from Thai to Hawaiian cuisine. The children’s area will entertain youngsters with games, a super slide, a bounce house, a rock climbing wall, and face painting. The Kiwanis Club of Carlsbad will continue its more than 25-year tradition of hosting a pancake breakfast at the Carlsbad railroad depot. The meal, which includes pancakes, sausage, coffee and juice, will be served between 7:00 a.m. and noon. To make parking more convenient, complimentary shuttles will run to and from the fair. Shuttles will pick up and drop off passengers at the Poinsettia Coaster Station and the west corner of Sears at The Shoppes at Carlsbad. Additional handicapped parking available at the Carlsbad Visitor Center (the old train depot), 400 Carlsbad Village Drive and at the Village Faire Shopping Center, 300 Carlsbad Village Drive. For more information about the Carlsbad Village Faire, please contact the Carlsbad Chamber of Commerce at (760) 931-8400. Click here to download the application. Click here to apply on line. Chamber Members receive priority and 1/2 off booths. Contact us for membership information.